120 Sunrise Hemphill, TX. | MLS# 66926 | Toledo Bend Express Realty; Toledo Bend Real Estate Professional; Waterfront property and Lake Homes for sale at Toledo Bend and Sam Rayburn Lake! Vacation or retire; Certified Retirement Community in Texas Forest Country! Enjoy golf, fishing, ATV trails. REDUCED! 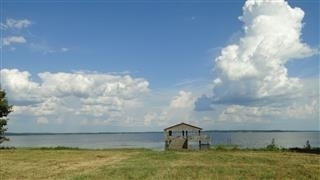 2 beautiful waterfront lots in site-built homes only development. Ready to go with water well, electricity at site, double boat house (1 slip for bass boat, 1 for pontoon), and nearly 400' of waterfront that is bulk headed. Need to see this one!